It’s really hard to find good fish head noodles in my part of the neighborhood, you know. You won’t believe it but my favourite one is located, all the way over, in Kota Kinabalu, prepared by the Kadazan brothers. That just shows how hard it is, to get good head these days. Anyway, both me and Cumi have always meandered past this cool place in Bandar Puteri Puchong but never ventured in, because there are so just many other distractions in this part of town. Every other shop is a coffee-shop begging to be discovered so we have always put aside Soon Soon Lye thinking it will be around for ever, so no hurry. Finally, the time has come. 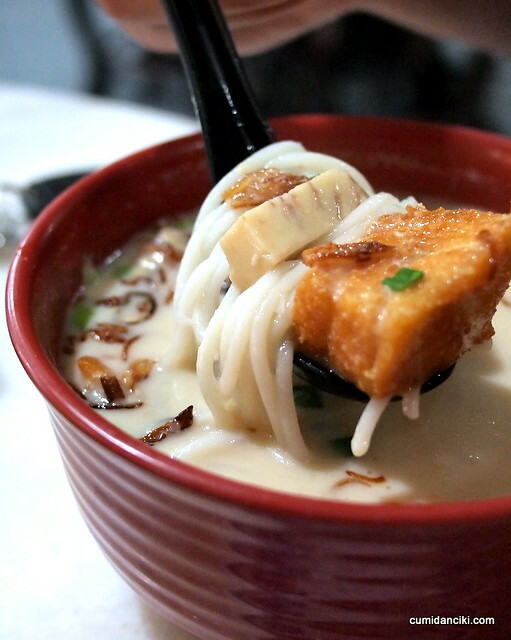 Tonight is the night for fish head noodles! Cod Fish Belly and neck Beehoon RM16.90 for 3 huge hunks of cod fish, 4 slices of fish paste. The shiny, golden crispy browned cod chunks go superbly well with the fish broth. Evaporated milk is what gives the broth that extra kick and a white, creamy consistency. If you opt for the thick noodles, it’s RM1 more than the normal beehoon (thin rice vermicelli noodles). The bowl comes with slices of yam, tomatoes, ginger, shallots and vegetables. If you ask me, this is the supreme way to appreciate the texture and taste of Soon Soon Lye’s fish head noodles. The thick noodles are the way to go. If you ask for beehoon, you lose half the experience. The thick noodles are super al dante .. insanely chewy. Too good for words. Also, one should always have the broth with the evaporated milk. No milk, no oomph. The menu is as long as it is wide and we didn’t get a chance to try everything. The other item of interest to us on the menu was the super cheap Sashimi at RM 10.90 for 5 pieces on the weekends. We spoke to the owner of the place, a Mr. Michael Mak who came across as a personable, genuine guy. He told us his sashimi arrives Tuesdays and Fridays and that the weekends would be a great time to sample his sashimi. Mr Mak is a Chef himself and he worked in his own restaurant in the UK for more than 10 years before he came back to Malaysia. At that time, he had just renewed his lease for another 3 years, but recession hit the UK, it was difficult to get staff and he was forced to come back to Malaysia. Mr Mak says, no regrets and the business in Bandar Puteri Puchong is thriving. Judging from the business at Soon Soon Lye, one has to agree that it was the right move too. According to Mr Mak, his Cod fish is from Canada and the Salmon from Norway. 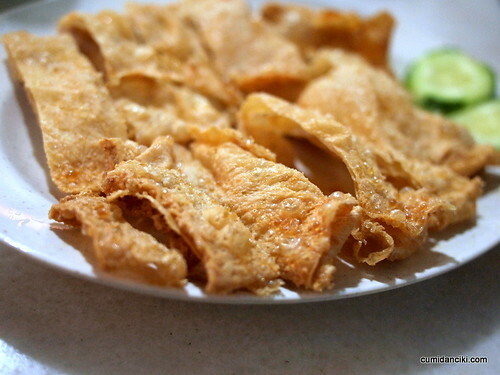 Cod Fish belly and neck – crispy , tender and succulent. Massive chucks that are well worth the money. Another galvanizing gastronomic experience here is, the chili sauce. 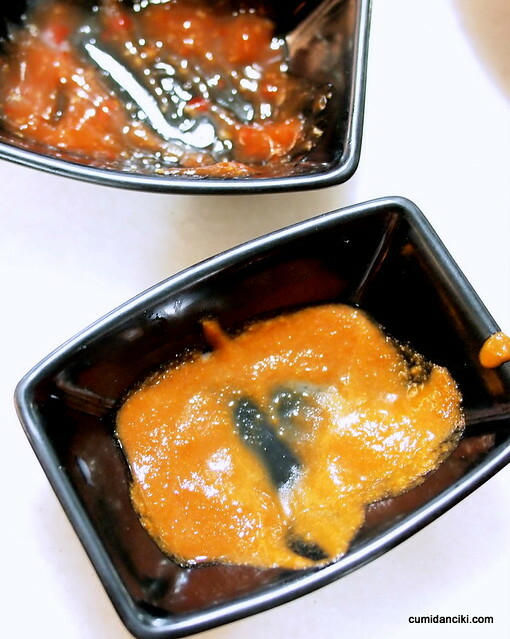 There are two types served at Soon Soon Lye- one is belacan based , the other normal chili sauce that goes with the fried fu-chuk. The belacan chili that goes with the fish head noodles is cathartic. It’s a must have! Eat it and weep. 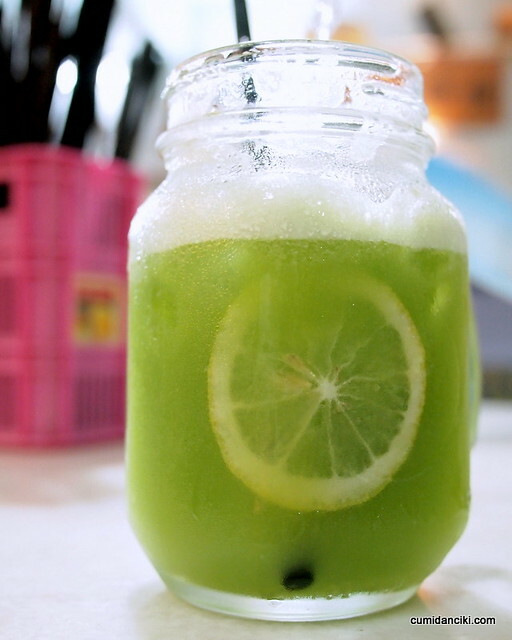 Cucumber lime juice – to wash away the heat.. 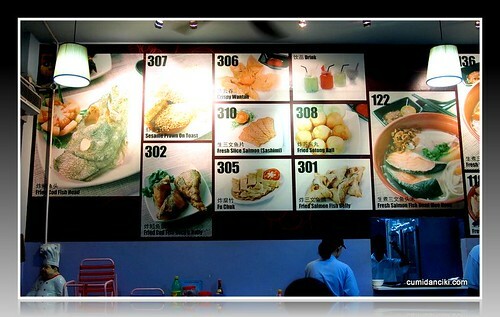 The massive signboard at Soon Soon Lye.. in case you missed it, they serve fish here. Previous articleShiver me timbers.. Banana Fritters! Next article5 terrific Indonesian desserts for the sweet-toothed! wow high end fish head noodles man..cod fish, salmon and even sashimi too! on the expensive side, but for what you are getting, it’s actually about right. amazing how well they are doing even in a predominantly chinese area where folks don’t like to cough out that much for food. But I guess you can tell the quality is outstanding that’s why the place still thrives. “If you ask for beehoon, you lose half the experience” – agree!! This will be my mantra for the day! 🙂 another beehoon lover yay! Yerrrr I wants to go I wants to eat! wow, why so few times I wonder?! My mouth is watering and I would love to catch the next flight to KL. 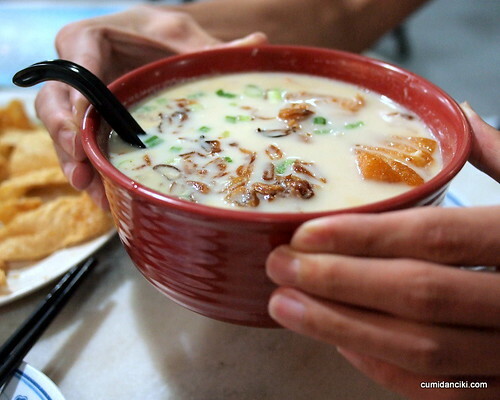 I can’t believe I’ve been to KL, even Kota Kinabalu, and I never knew about this dish, it looks outrageously delicious! Next time…! oh u need to come over ASAP Mark! 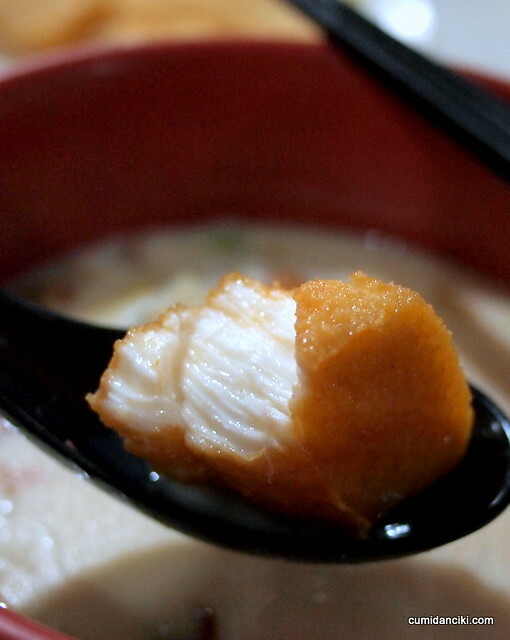 No wonder slightly premium pricing lah … COD fish in a bowl of fish head noodle soup. Yeah, I am slowly taking to KL style of fish head noodles with MILK. And the terrific balanced proportion of tangy tomatoes and salted mustard, and creamy fresh/evap milk.